98% of members would recommend RAC Rescue to their friends and family. Britains most experienced provider with 120 years experience. Patrols fix 4 out of 5 vehicles at the roadside and carry over 500 parts and tools so bring the garage to you. Roadside assistance, rescue and recovery. UK and European options available and our service allows you to tailor the insurance to your particular needs in seconds. All the policies offered through the panel of insurers we partner with include Roadside Assistance, so that your vehicle will be repaired at the roadside if at all possible. Local Recovery is also an option, meaning that if a roadside repair isn't possible, your vehicle will be towed to a nearby garage or your home address. 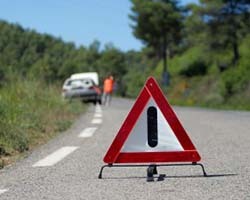 The car breakdown service allows you to compare policies at a glance to see which is most appropriate for you. You can select to filter your options and display policies that include particular features such as Home start, European cover, ongoing assistance with alternative travel, Car Hire or Hotel accommodation while your car is being repaired or if the insurer offers it, a relief driver if the main driver is taken ill.
Policies will offer either cover for the vehicle or the person, so select the type that better suits your requirements. If you have just one vehicle but more than one driver in the household, vehicle cover is likely to be better for you but, if you use a number of different vehicles, you will probably find personal cover is preferable. The AA and RAC aren't on the comparison table so do get a quote from them - click through from the listeng on the left hand side of this page to get comparative quotes from them. Both these companies tend to offer very attractive introductory discounts so that year one prices are lower - make sure you remember that in 12 months time when your renewal is due, you shop around again for the best deal. We search several of the most competitive Car, Van and Motorbike breakdown insurers, including ABC Rescue, Adrian Flux, Breakdown Assist, CovermyBreakdown, GEM Motoring Assist (a 2017 Defaqto 5 star rated insurer), Insure4Breakdown, QDOS, RescueMyCar, Start Rescue and Warranty Direct. We have found them to offer a high quality product, yet some of the cheapest in the market.